BNM Auto Group was established back in 1992 as a small partnership that has grown into today's area's number 1 independent dealership. Our 200 and up-vehicle inventory gives a variety of selection to your budget, needs and wants. Over the years, we always had only one goal "making every customer a life time customer!". We focus on maximizing the value of what our clientele is getting from the first contact to after-sale customer service. Here at BNM Auto, we make used car shopping extraordinary. We go above and beyond to bring satisfaction and piece of mind to every sale and this is why we say "NO HAGGLE- NO HASSLE". TAKE ADVANTAGE OF OUR BOTTOM DOLLAR, UNBEATABLE PRICES WHILE GETTING THE BEST RATES! BNM Auto Group now provides outside financing through Seven Seventeen Credit Union. You can apply and get your instant response here at our dealership If you live/work/ go to school in Trumbull, Mahoning, Columbiana, Portage or Stark Counties. For those who doesn't live in those counties, BNM Auto Group thought about you too. Westlake Financial and Springleaf Financial / OneMain Financial are here to get you the car you want. Simply go on the "APPLY NOW" on the bottom of the page and fill out the online application form. Our team will get you financed! We can't guarantee your approval but we can guarantee you're getting the best rate. The internet prices are cash only. The actual retail price may vary depending on your credit report. You can also get financing through your own bank or credit union. Most of the time all they need is VIN number of the car you're interested. However, if any additional paperwork is required our team is here to help you. 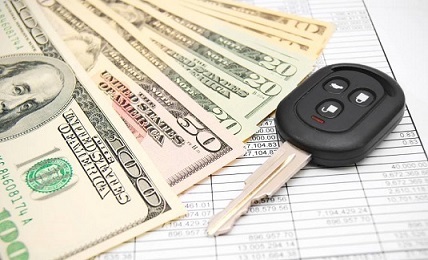 You can put 10% of your total purchase as deposit to hold the car while completing your financing processes. Please be adviced, all deposits are non-refundable. Please make all certified checks payable to "BNM Auto Sales, Inc". There is a 3% charge added to all Credit/Debit Card purchases. We are confident about our cars. However for those customers wanting to have coverage, we do have third party warranty packages available with used car purchases. The warranty prices change according to the coverage and length of the contract. Here below, you can see some of the warranty prices and length for Drive Train Plus which covers; engine, automatic tranmission, manual tranmission, timing belt/chain, drive axel assembly, seals and gaskets. Depending on the vehicle you are purchasing you might be eligible for a better coverage at lower price. Please ask your warranty options to your sales consultant at the time of purchase. All the warranty types come with 24-Hour Roadside Assistance and rental car privilages. Also all warranty types are "0" deductable. * 4x4, All Wheel Drive and Turbo/Supercharged vehicles have a $75.00 surcharge for additional coverage. Warranty packages are completely optional and may be purchased with any car under certain mileage depends on the eligibility of the vehicle. Extra fees might be added for special vehicles. Please ask for "Deluxe" and "Factory Type Coverages" we have. We inspect our vehicles before we purchase them and our vehicles are described to best of our knowledge. We have mechanics in house, however we do understand that you want to be safe buying a used car and you're more than welcome to take the car for a used car inspection at a third party (with appointment only to a local shop and at your cost). Our team is here to help you make your purchase as smooth as possible.